The following is an excerpt from Peter Ridd’s chapter in Climate Change: The Facts 2017, published by the IPA in 2017. :A PDF of the full chapter is available here, and the book can be purchased here. The Great Barrier Reef is often used to show the imminent crisis we are supposedly facing from climate change. It is photogenic, the water sparkles blue, the fish and corals are beautiful and delicate, and most who see it – particularly marine biologists – fall in love with it. It is abhorrent to even contemplate that it could be destroyed or damaged by humanity. The claimed imminent peril faced by the Great Barrier Reef has captured the public’s imagination. When then US president Barack Obama visited Australia, he remarked that he wanted global action on climate change, so that maybe his daughters would have a chance to see the Great Barrier Reef. A visiting architect to my university revealed that his daughter, on discussing the latest reef bleaching event at school, came home depressed that she would probably never be able to see the Great Barrier Reef. Most of the world’s population seems to have been persuaded that it has no more than a few years left. There is no doubt that every decade or so, abnormally high seawater temperatures can cause corals to bleach (Marshall & Schuttenberg 2006). Bleaching is when the coral expels the symbiotic algae (zooxanthellae) which normally live inside an individual coral polyp. The polyps are the animals, generally a few millimetres across, that make the calcium carbonate structure of the coral. Thousands or even millions of polyps make up an individual coral. The symbiotic algae live inside the polyp and make energy from sunlight; they share this energy with the polyp in exchange for a comfortable environment. However, when the water gets much hotter than normal, something goes wrong with the symbionts and they effectively become poisonous to the polyp. The polyp expels the symbionts and – because it is the symbionts that give the polyp its colour – the coral turns white. Without the symbionts, the polyp will run out of energy and die within a few weeks or months, unless it takes on more symbionts that float around naturally in the water surrounding the coral. The ghastly white skeletons of bleached coral, particularly when seen on a massive scale, make graphic and compelling images to demonstrate the perils of climate change. The fact that this only happens when the water gets much hotter than normal makes it a plausible hypothesis that coral bleaching is caused by anthropogenic climate change. It is also often claimed by scientists that mass bleaching has only occurred since the 1970s, and that it is a recent phenomenon that did not occur 100 years ago when the water temperature of the Great Barrier Reef was 0.5 °C to 1.0 °C degrees cooler (Hughes 2016). Despite this apparently plausible hypothesis, it will be argued in this chapter that there is perhaps no ecosystem on Earth better able to cope with rising temperatures than the Great Barrier Reef. 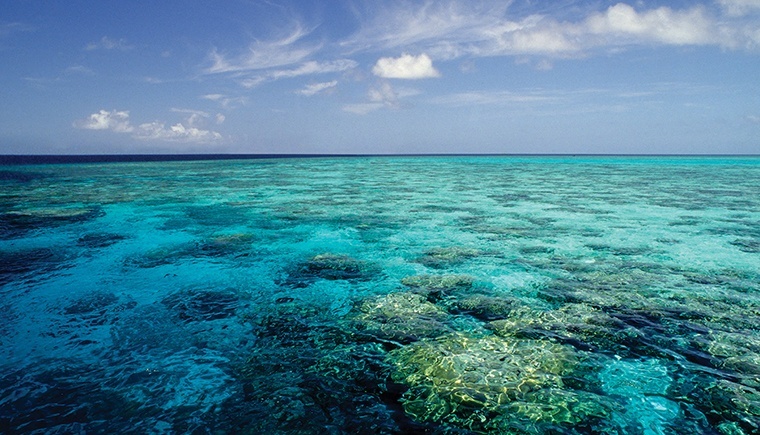 Irrespective of one’s views about the role of carbon dioxide (CO2) in warming the climate, it is remarkable that the Great Barrier Reef has become the ecosystem, more than almost all others, that is used to illustrate and claim environmental disaster from the modest warming we have seen over the course of the last century. A PDF of the full chapter is available here, and the book can be purchased here. Please note Chapter 2 of Climate Change: The Facts 2017, by Dr John Abbott and Dr Jennifer Marohasy and, “Ocean Acidification: Not Yet a Catastrophe for the Great Barrier Reef,” is complementary to Professor Ridd’s chapter.